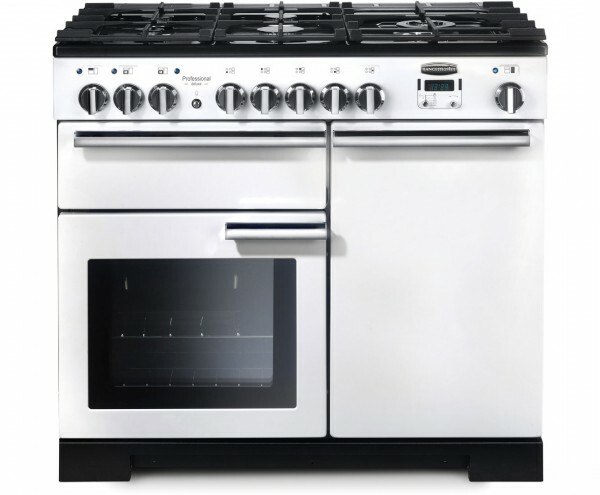 Product information "Rangemaster Professional Deluxe 110cm White"
The Rangemaster PDL100DFFWH/C Range Cooker comes in a stylish white colour. The PDL100DFFWH/C has an efficient A/A energy rating. This Range Cooker has a electric fan oven oven. The PDL100DFFWH/C main cavity capacity is 69 litres, which means plenty of space to cook for larger families. The flame safety device senses when the flame has been extinguished and automatically cuts off the gas supply preventing a dangerous gas leak. To offer peace of mind the Rangemaster PDL100DFFWH/C free standing Range Cooker also comes with 2 years warranty. Related links to "Rangemaster Professional Deluxe 110cm White"
Customer review for "Rangemaster Professional Deluxe 110cm White"